First dates can be a bit of a minefield, especially when it comes to choosing the venue. Do you go for a bar, restaurant, coffee shop or something completely different? Then there’s the atmosphere, location and budget to consider. You might prefer to start with a drink and want the option to dine there if things go well between you. 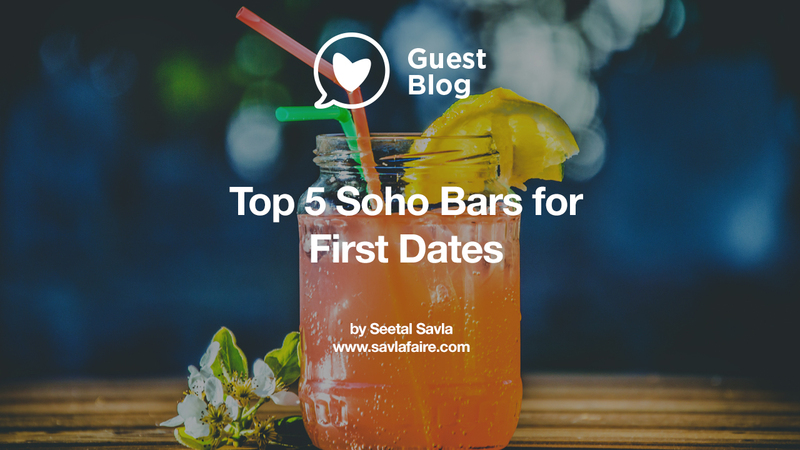 Here’s a shortlist of cool cocktail bars in Soho – the first in a series of dating destinations – which are guaranteed to impress without burning a gigantic hole in your pocket. Underneath HIX Soho’s bright and spacious modern restaurant is Mark’s Bar, where dark leather sofas and low lighting create an intimate ambiance. Get to know each other better by working your way through their reputable cocktail list, which includes one of the best espresso martinis in the capital. If slouching on a couch sounds unappealing, you can sit at the bar and watch the mixologists work their magic. If you get peckish, there’s a short snacks menu featuring favourites like pork crackling and chips, and you can always hop upstairs for dinner (advance booking recommended for the restaurant, and 1 snack to be purchased with all drinks due to licensing laws). The front door is bright red, but you might still miss it if you’re busy ogling the window displays in either Crosstown Doughnuts or Agent Provocateur. 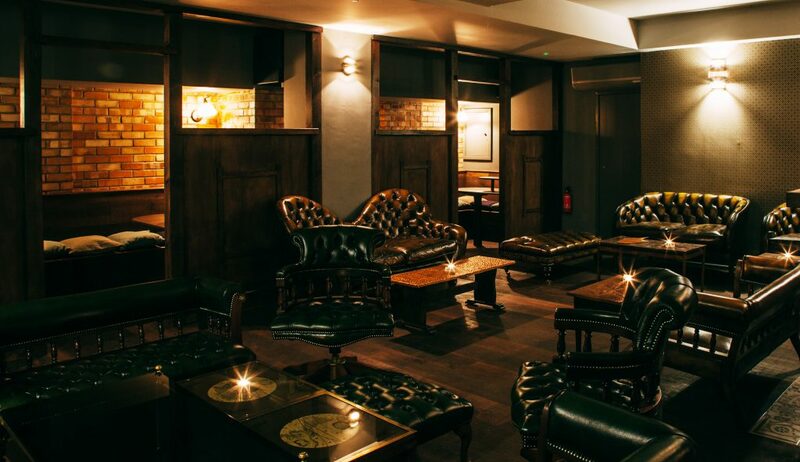 Once you’ve peeled your eyes away, head downstairs into a dimly lit, contemporary space with a hint of speakeasy. Private booths line the back of the bar, while the main area has plenty of low-slung armchairs for a more relaxed experience. All drinks have an interesting twist: take the “Blub” with Sichuan pepper-infused gin, for example; not your average ingredient. Since the food menu consists of decadent desserts such as chocolate lava cake and peanut butter and Oreo cake, save this hidden gem for as a sweet, post-meal treat. Fancy your cocktail with a side of song? Archer Street isn’t one to follow the crowd, serving up live musical entertainment on tabletops. No, that’s not a typo; the singers actually perform on the tables. But this is far from a seedy Soho experience, as the decor is very country manor (think comfy sofas, plump cushions and huge floral displays) and the colour palette all warm and cuddly. If a beach vibe is more your thing, they have you covered: their Myki Sand Bar has enough palm trees, sand and sails to keep you smiling until your next holidays. Food hasn’t been forgotten, although it’s canapés rather than multiple courses. The French know a thing or two about wining, dining and impressing. After battling the West End crowds outside, stepping into Brasserie Zedel will feel like a port in a storm. For a quick drink, you can grab a table in the ground-level bar, which epitomises Parisian bistro chic. This is all very lovely, but the best is yet to come: downstairs is home to Bar Américan, a classic American-style bar exuding pure glamour and opulence in the best Art Deco fashion. Should hunger strike, it’d be a crime to miss out on experiencing the finest French cuisine, with the set menu being one of the best bargains in the city (2 courses for £9.75 / 3 courses for 12.75). If a bartender enthusiastically welcomes the challenge of going “off-piste” for a sceptical customer, you know you’re in a good place. Not only do Jinjuu’s bar staff whip up creations with great gusto, their cocktails are definitely palate-pleasers. Who would’ve thought that you could mix an espresso martini with an old fashioned and some banana and it wouldn’t get poured down the sink after one sip? But spending all evening propping up the bar would be to miss out on some delicious Korean dishes by celebrity chef Judy Joo, who swapped finance for food about 12 years ago. For those who wish to linger, their resident DJ – who has a penchant for R&B – hits the decks from 9.30pm.